Rockwell is proving that they can keep up with the big boys by coming out with their own brushless Drill & Impact Driver Combo Kit. Their brushless motor technology increases battery runtime by 50% per charge over brushed motors and is backed by a 10-year warranty. The brushless motors are computer controlled to ensure they are as efficient as possible as they are powered, while reducing heat and wear to improve motor life. The other benefit of their new brushless tools is their lighter overall weight and compact size. With a battery, the drill only weighs 3.4 lbs, and the impact is only 3.2 lbs. It looks like their RK1807K2 Brushless Combo Kit offers plenty of power, with 1,550 in/lbs of torque for the impact driver, and 531 in/lbs for the drill. The drill also features a two-speed gearbox (0-600 and0-2000 RPM), ½” metal chuck, and an 18+1 clutch. Both tools are equipped with belt clips, and LED task lights. The RK1807K2 Brushless Combo Kit comes with two 2.0Ah 20V Max batteries, which are part of the Rockwell Batteries for Life program. Once registered, users can get replacement batteries for their tool if ever the batteries go bad. 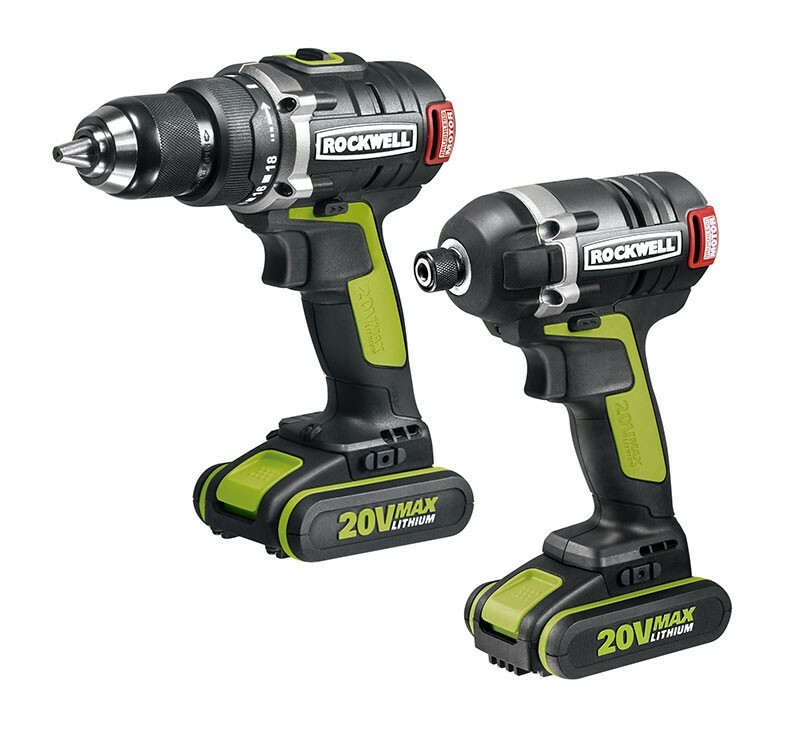 The Rockwell 20V Brushless Drill-Driver and Impact Driver Combo RK1807K2 also includes a one-hour charger, two double-ended bits and a soft storage bag. It’s available at Amazon and Menards for $279.99.